I recently found a new love and new obsession — the Cricut Cuttlebug! I should back up first, though. I already have a Cricut Explore Air so I didn’t think I’d need or get any use out of a Cuttlebug. 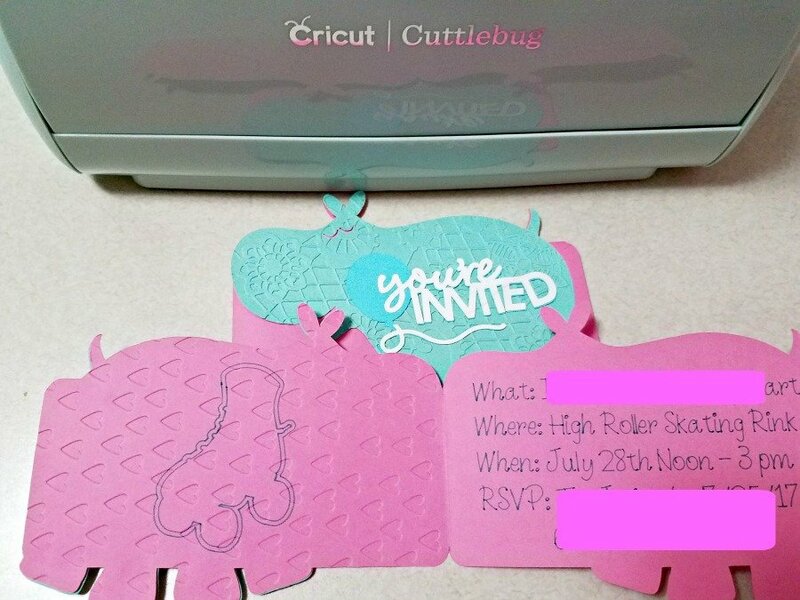 I mean, what can you do with the Cricut Cuttlebug that I couldn’t already do with my Explore Air? After getting a Cuttlebug, boy did I realize I was wrong. 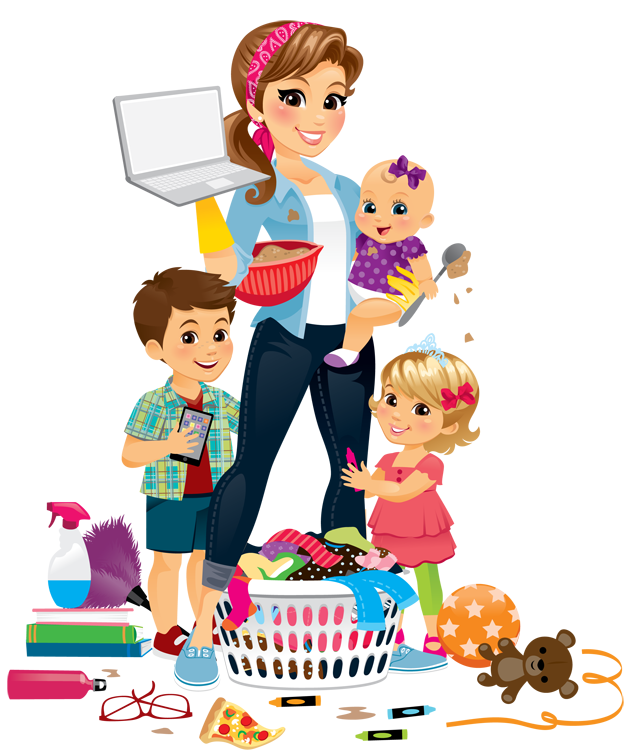 The Cuttlebug is good for so many things and it is so much fun to use! So what have I been making with my Cricut Cuttlebug? 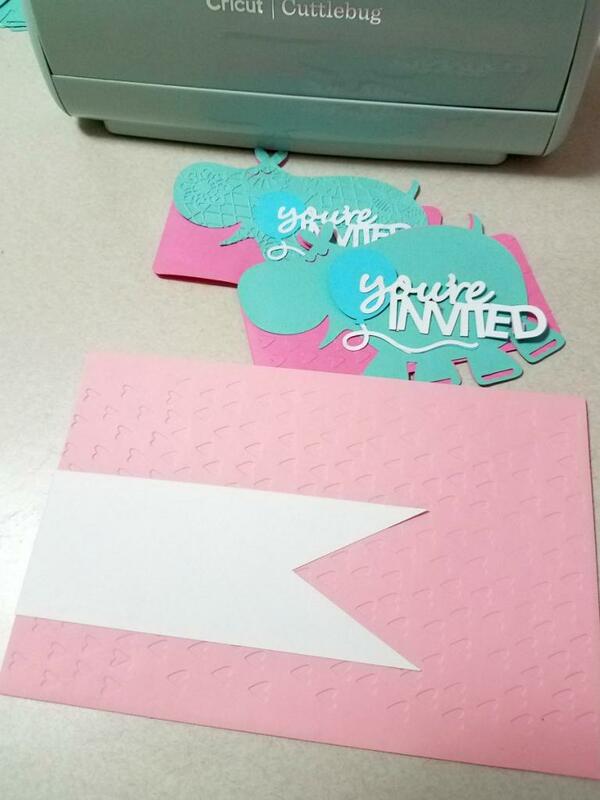 Lots of cards, invitations, and I’m embossing anything I can get my hands on. I don’t know what it is, but something about sending stuff through this little hand-crank machine is kind of addicting. Not to mention that you end up with some pretty cool results. 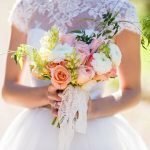 What Makes The Cricut Cuttlebug Cool? The first thing is that you don’t need any design cartridges or software because everything is done manually, right at the machine. It almost seems a bit old-school, but that is what makes it awesome. 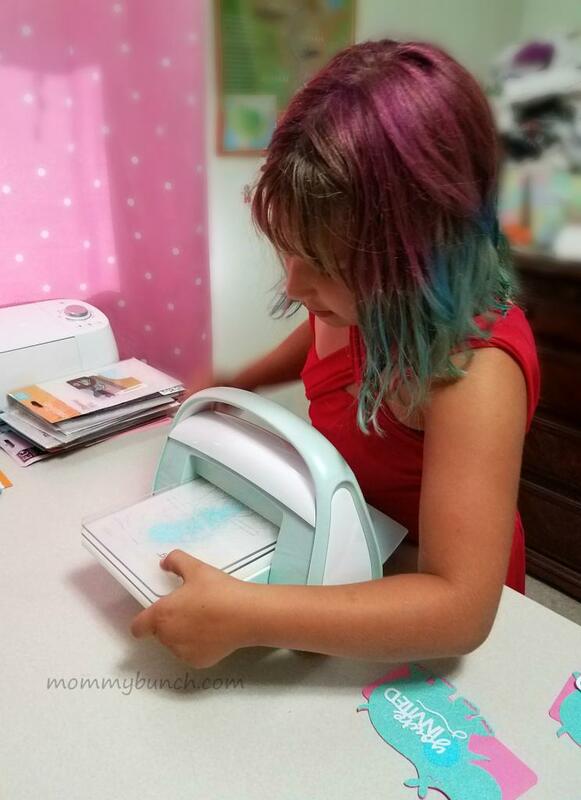 You simply use embossing folders or die cutters and run them through the hand-crank machine. (Note: You do not need cartridges for your Explore Air either, you simply use any of the designs within Design Space, either free or paid, and customize on your computer). You can use your Cuttlebug as a companion to your Cricut Explore Air. 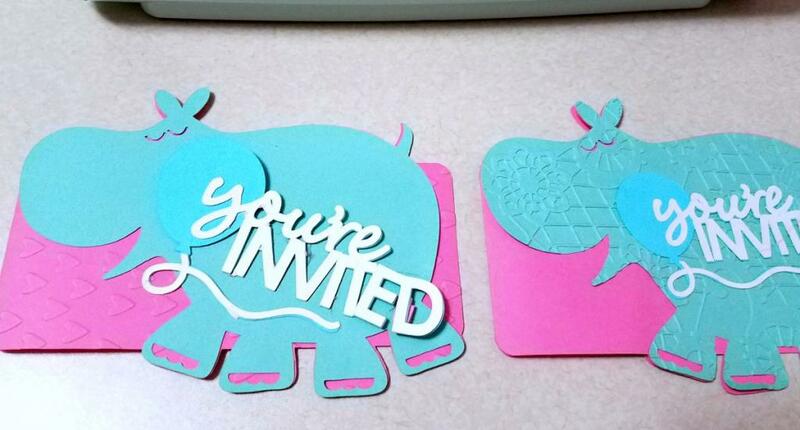 Design something amazing, then easily add embellishments or emboss by using your Cuttlebug. There are endless possibilities on how to customize your designs using the Cuttlebug. What Can You Do With The Cricut Cuttlebug? 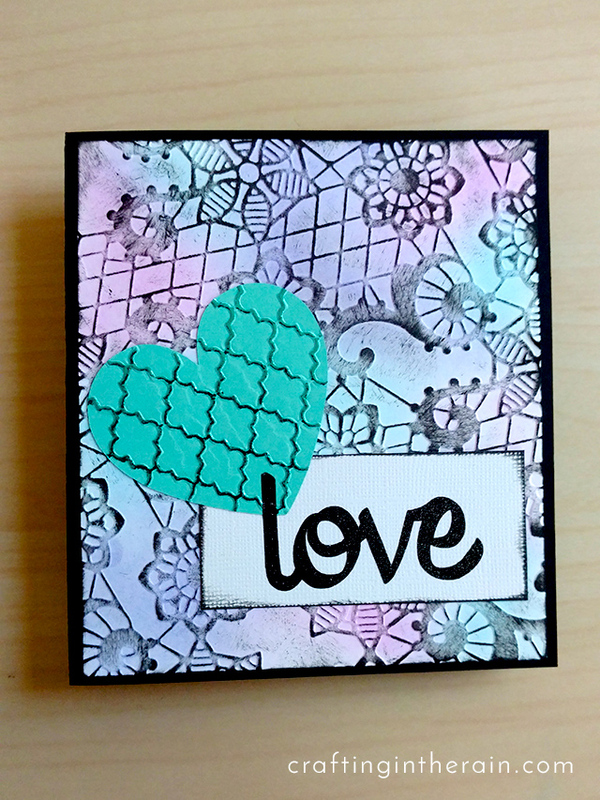 Check out how Steph, from Crafting In The Rain, made this cool rainbow design and glittery hearts with just a few simple ingredients and her Cuttlebug! 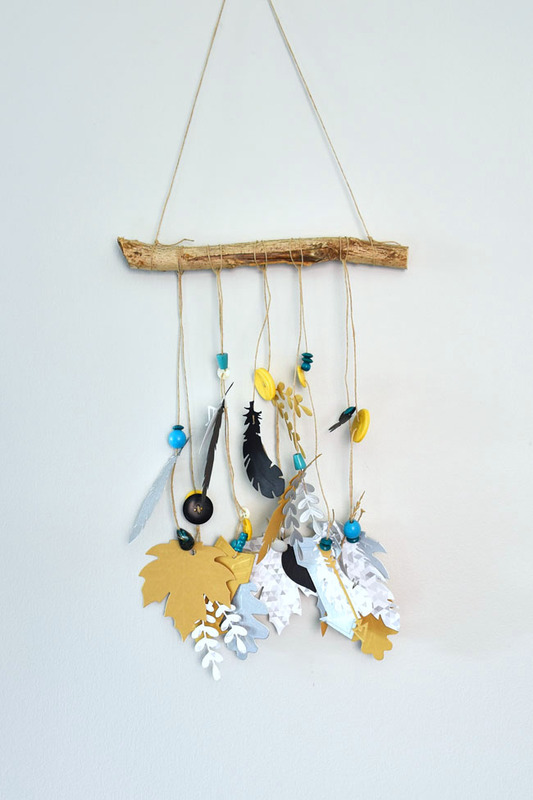 Joann, from Woman in Real Life, made this really cool Feather & Foliage Mobile using the Cuttlebug die cutters — this would be great for fall decor! The above projects are really neat ways to use the Cuttlebug to both emboss and die cut, but I am trying out a simpler project today. 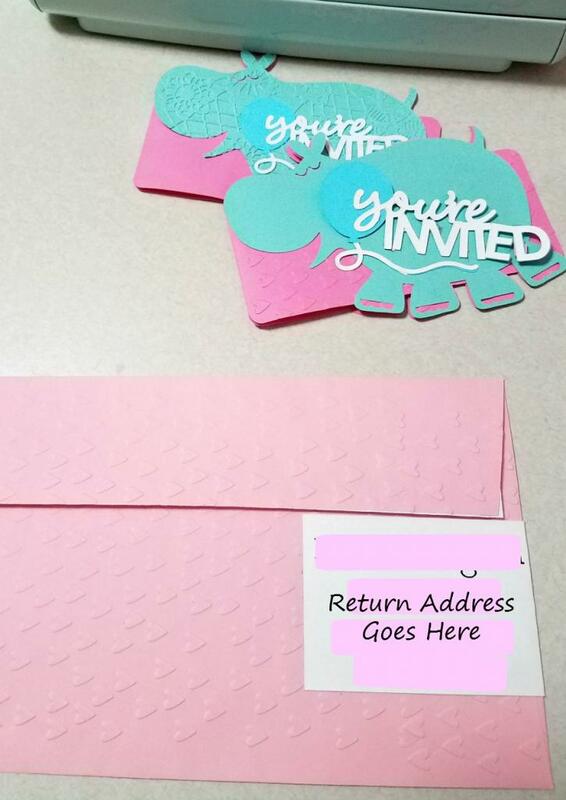 My daughter has a birthday coming up so I thought I’d enlist her help to make some custom invitation cards. I think after doing this project she is as addicted as I am to using the Cuttlebug! If you’d like to make similar cards there are a couple ways to go about it. ONE: You can start with a design in Design Space, cut it out with your Cricut Explore Air, then run the pieces through your Cuttlebug for a more custom look. TWO: You can start with some blank cards from any craft store and use your Cuttlebug to die cut embellishments, emboss the cards, and make them really pop. We decided to make our own custom cards by cutting everything with the Explore Air and then emboss with the Cuttlebug. You can find the exact design we used HERE. 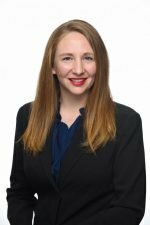 Customize by changing out any of the pictures and/or text. This project uses several different colors of cardstock, the writing feature of your Cricut Explore Air, Cricut Pens, a Scoring Pen, Craft Foam, Glue, and numerous embossing folders for the Cuttlebug. If you use our design you simply need to ungroup to be able to edit the text and/or change the picture to make it your own. Just look at how cute these little balloons are after embossing with the Cuttlebug! 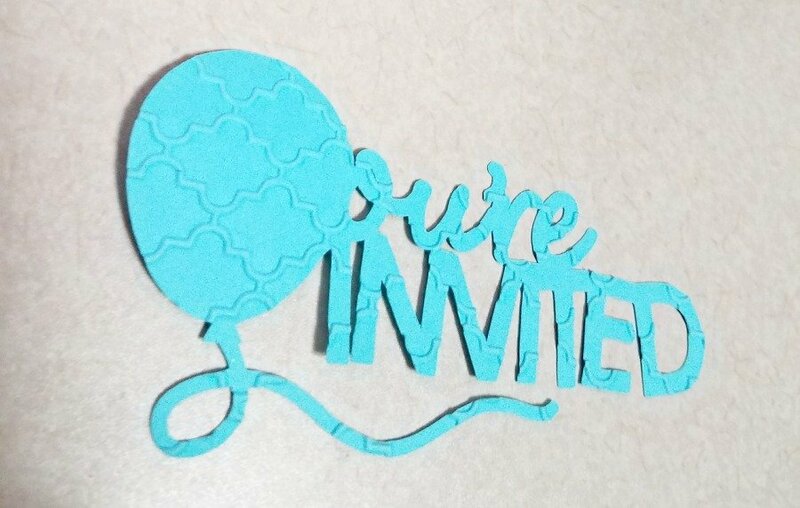 This little embellishment to the balloons really makes them pop out against the other cardstock. Especially when you raise them up by using craft foam to give a little extra dimension. After assembling the cards, we also went ahead and embossed the envelope, then used the Explore Air to make Envelope Wraps (Find HERE in Design Space) for the addresses. If you use these be sure to resize for whatever size envelope you will be using. TIP ==> To see how to use all the features in Design Space, like editing text, adjusting images, hiding layers, etc., head over to my Cricut Category and browse lots of useful tutorials there. *And if you are simply a beginner and need an easier project to start with, try my very simple Getting Started With A Cricut project to get some practice under your belt, then come back and tackle this one! The Cuttlebug is pretty easy to use. I made a short demo video on how to use it that you can view below. Simply decide on your design and then follow the simple steps below! 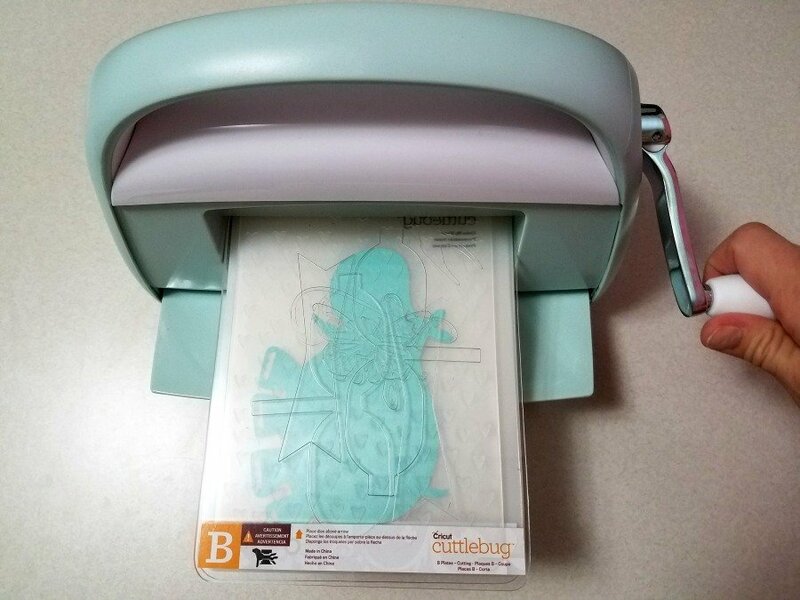 What can you do with the Cricut Cuttlebug? Your imagination is the limit! 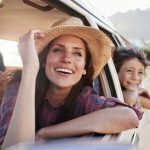 PreviousPlanning A Road Trip With Kids? 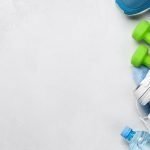 Use This Easy Packing Checklist! NextGrilled Quesadillas and Mexican Street Corn – Perfect For Summer!